Roots has their Black Friday Event on now! Save 30% off sitewide and also they are doing daily special offers! 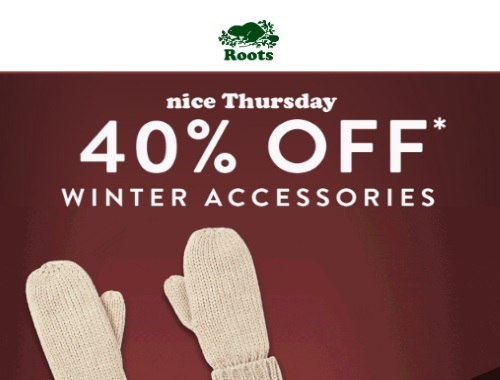 Today's deal is 40% off winter accessories! Shop this online and in-store.